BARK helps dog owners spoil their four-legged friends by sending them themed packages stuffed with treats and toys for their dogs once per month, all for a low monthly subscription fee. Lisa Bernier is a self-identified crazy dog person and one of the heads of social media at BARK. She and her team are responsible for measuring the success of social media campaigns, reporting analytics to senior managers, and planning new content strategies to target their audience better. To help facilitate these tasks, Lisa needed up-to-date metrics from all social platforms such as Facebook, Instagram, and YouTube. 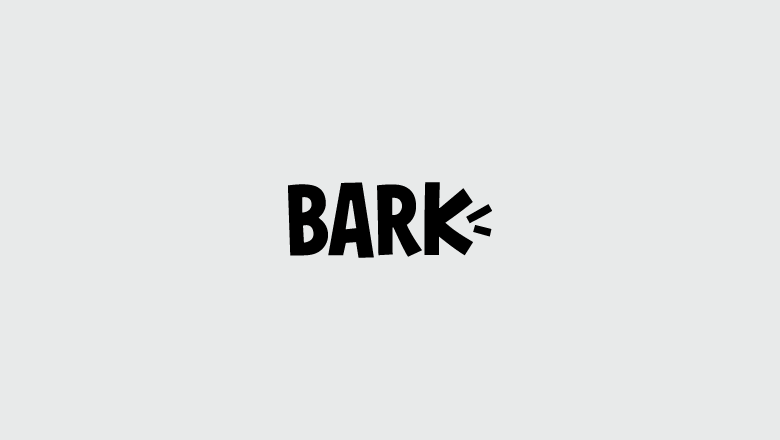 In particular, Lisa required a way to track engagement on Instagram videos—a feature that BARK uses regularly. Lisa and her team tried gathering methods both through each platform’s native analytics. Unfortunately, this laborious process meant hours of wasted time and usually didn’t provide Lisa with the insights she needed to inform her social media strategy. It was time for Lisa to find another solution. “There wasn’t a great Instagram video view tool before, even within the app itself. Everything was aggregated so views kept going up but you couldn’t get any granular insights, such as how many views you earned over a certain period of time. Simply Measured gave Lisa and her team the tools they needed to measure the success of their social campaigns and improve future endeavors. It’s also saved her a lot of time on reporting—time she can re-invest in BARK’s social strategies. Lisa’s especially enthusiastic about the new Simply Measured video analytics feature. Now, with the help of this feature, she can track videos, photos, and stories and see how each format stacks up against each other. 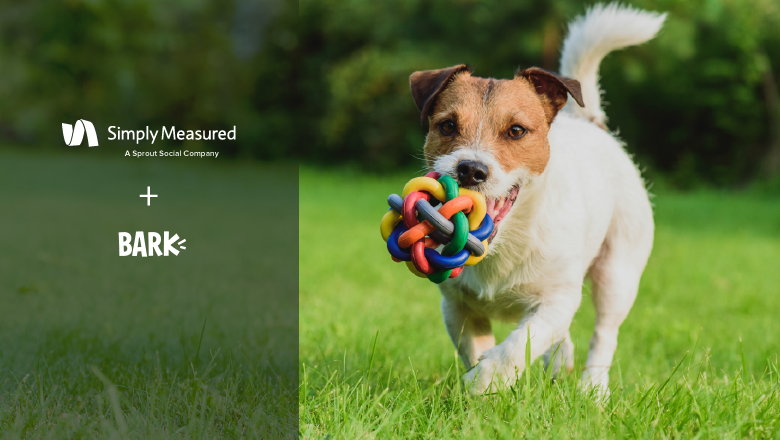 Lisa can also use Simply Measured to measure much more accurate engagement metrics, even on short videos or across specific time periods. These insights have impacted the formatting, timing, and amount of content Lisa and her team post to Instagram and other platforms and they’re pivotal to BARK’s overall content strategies. The most immediate impact that Simply Measured has had on Lisa’s day-to-day is that she finally has concrete analytics proving what she already suspected—that video is among the most engaging and highest converting content BARK produces. 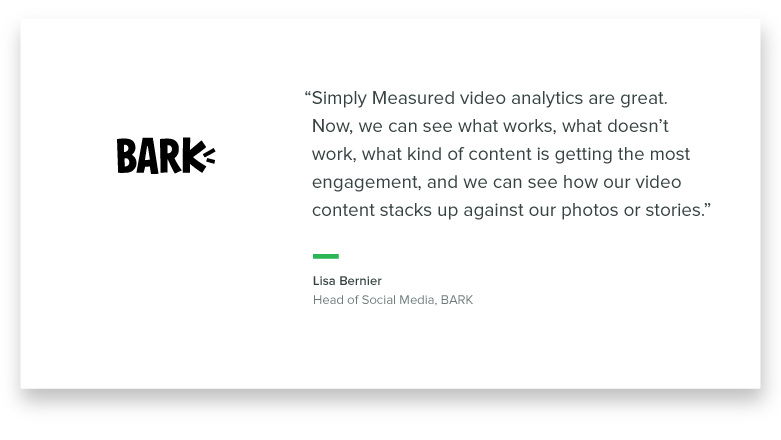 While BARK has always enjoyed fairly steady social media growth, now Lisa and her team are able to focus their efforts on what’s working. She’s been fine-tuning BARK’s social media strategies from a data perspective, to great results. Lisa and her team have almost doubled their video content in preparation for the busy holiday season. Thanks to Simply Measured video analytics, she knows which content performs best and she’s able to create more engaging videos than ever before.